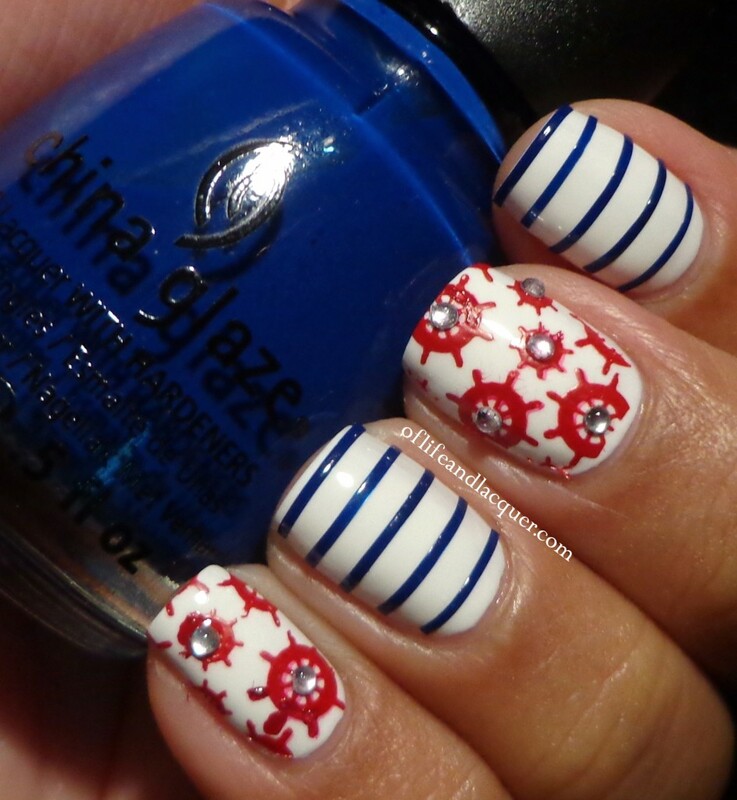 The floral pattern is for sure one of the most common ones for spring time, but when it comes to summer time, the nautical pattern always takes the stage. 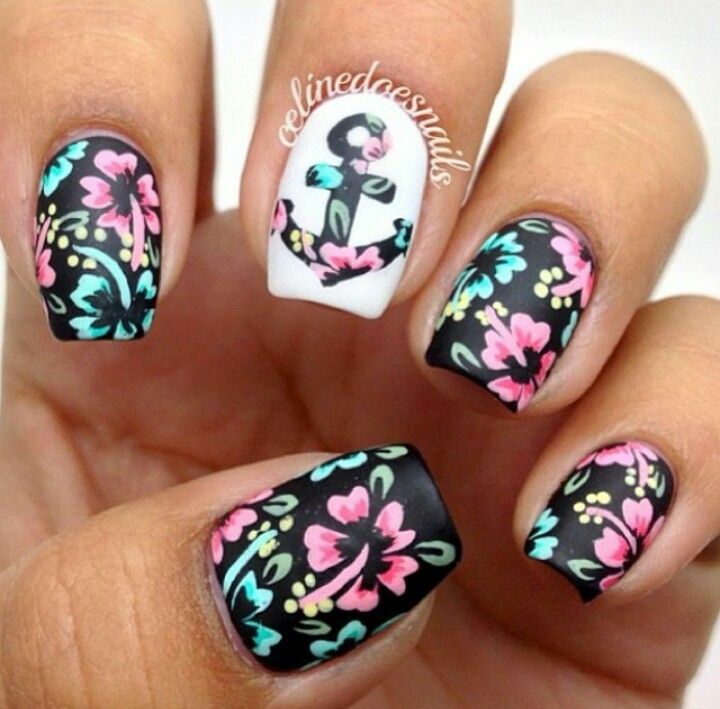 You can find many stylish tops, skirts, shorts and dresses with this pattern and of course you can even add this pattern onto your nails. 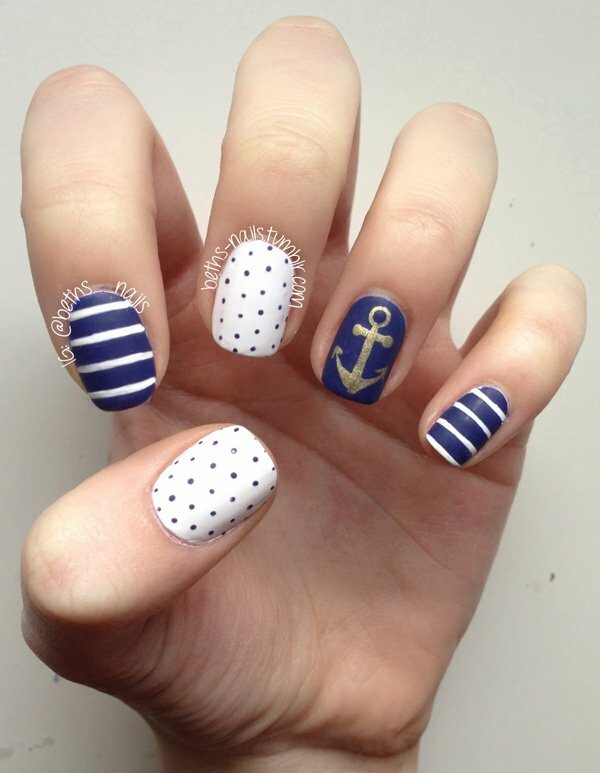 So, today we would like to show you a photo collection of 15 Nautical Nail Designs that you can try to copy this summer. 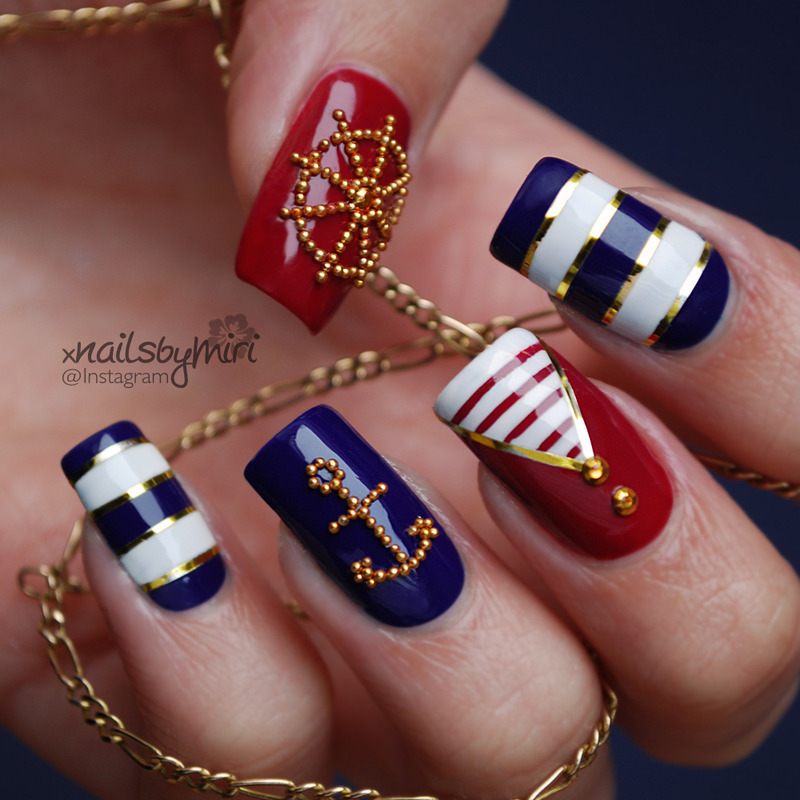 The main colors for this type of nail design are red, white and blue, stripes are the right pattern and anchor is the main symbol.However, you can use other colors instead of these ones, like pastel colors and maybe even some silver ones. 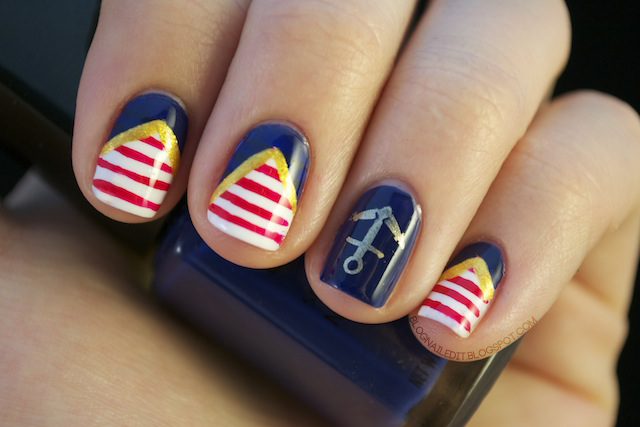 The nautical nail designs are not that hard to be done, so you can even try to do them by yourself. 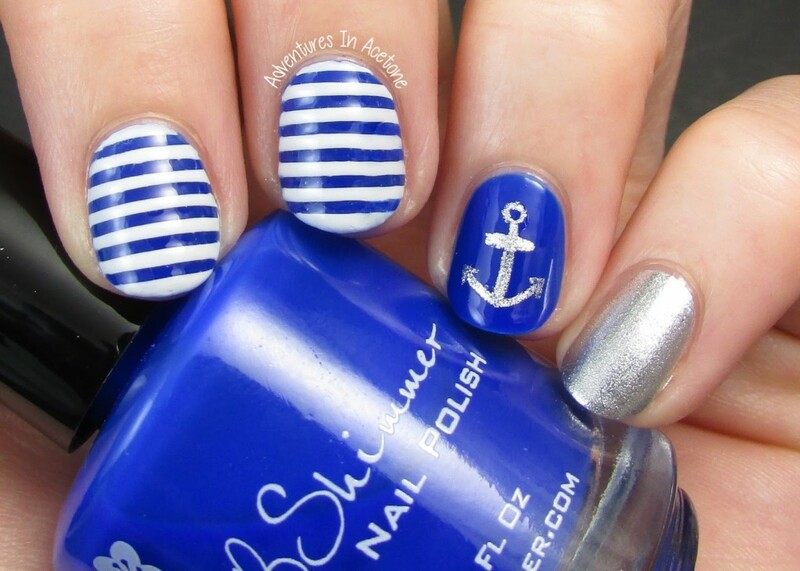 Use some striping tape to apply the stripes more precisely. 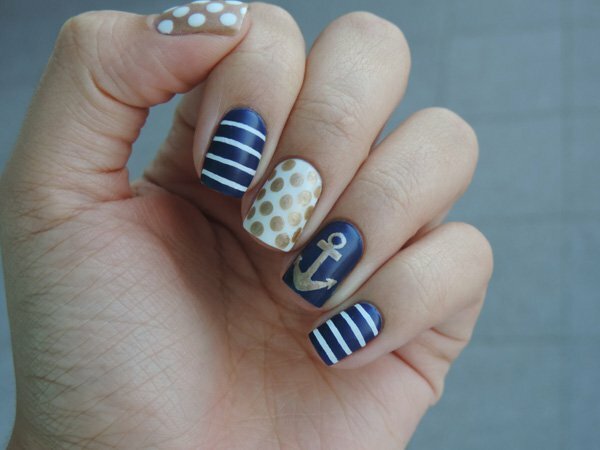 And when it comes to the anchor, do not panic if you don’t know how to draw it right, because there are many stickers that you can simply stick onto your nails. 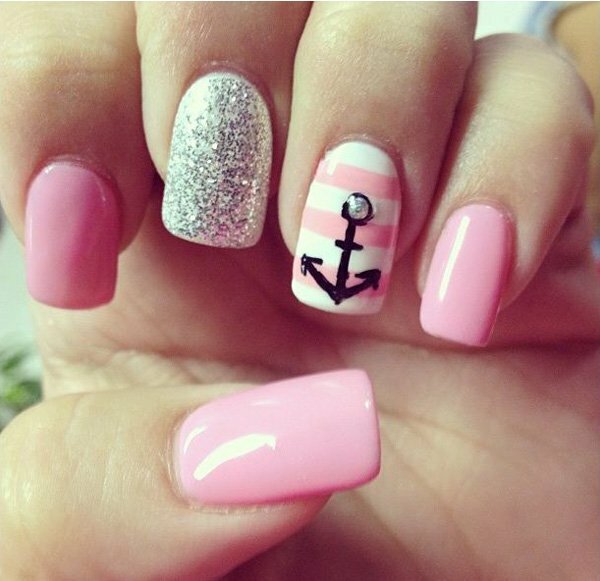 And if you choose to visit a manicure saloon, where a professional takes care for your nails, you can even ask them not to draw the anchor but instead to create some of small embellishments. 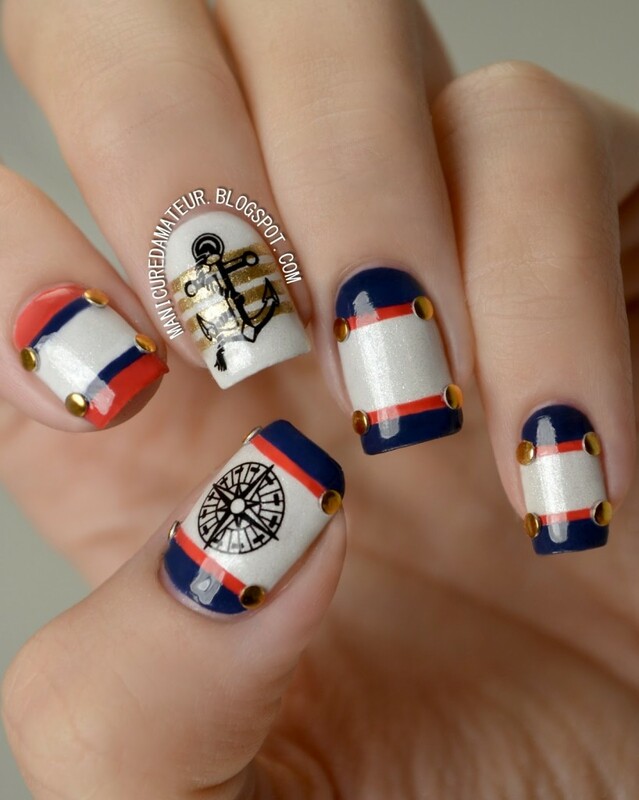 Scroll down now to see our photo collection of nautical nail designs and choose which one you will copy. Enjoy! 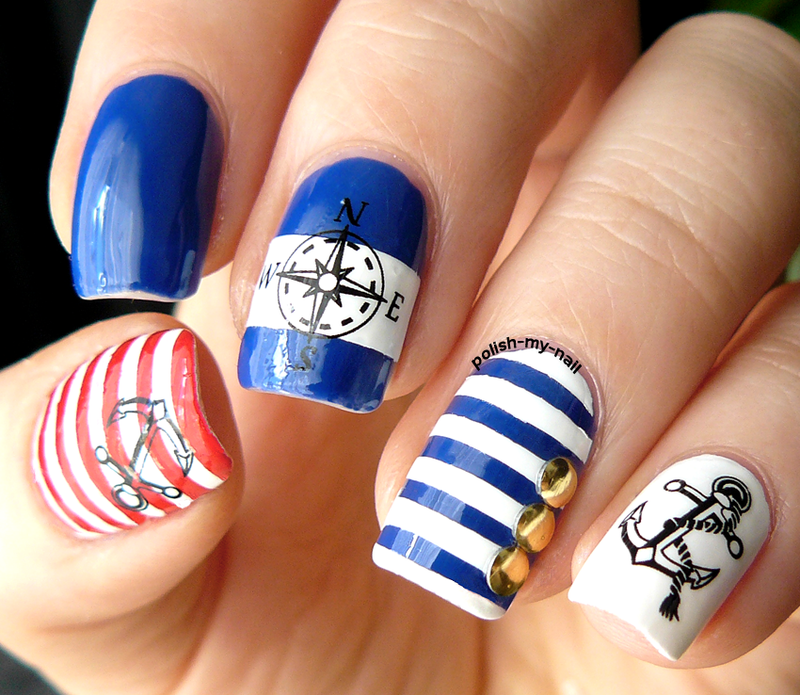 It is a hard decision to pick out just one favorite out of all of these wonderful nautical nail designs, right? 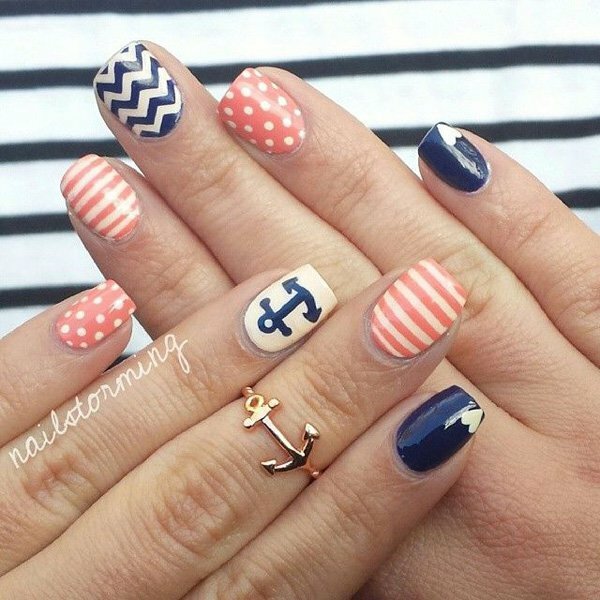 We advice to first decide on the colors you will use, whether you will go for the common nail design – the one with red, white and blue- or maybe experiment with some pastel shades and some silver or gold nail polish color. 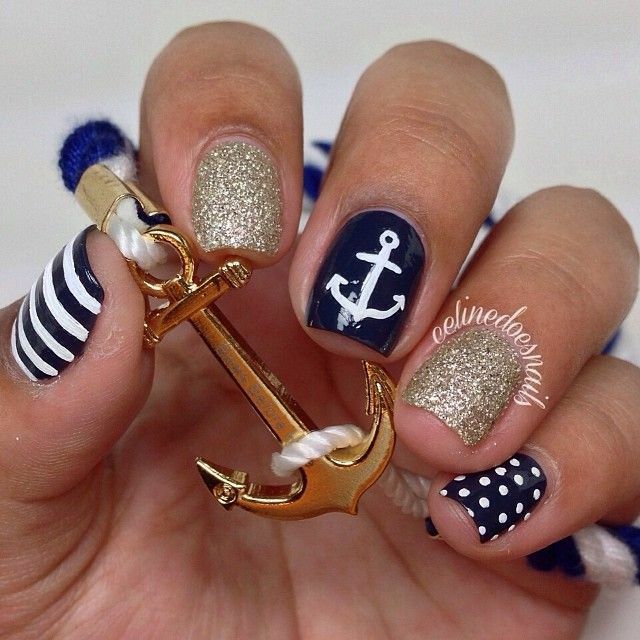 Choose two contrasting colors for the anchor accent nail, so that it can stand out. 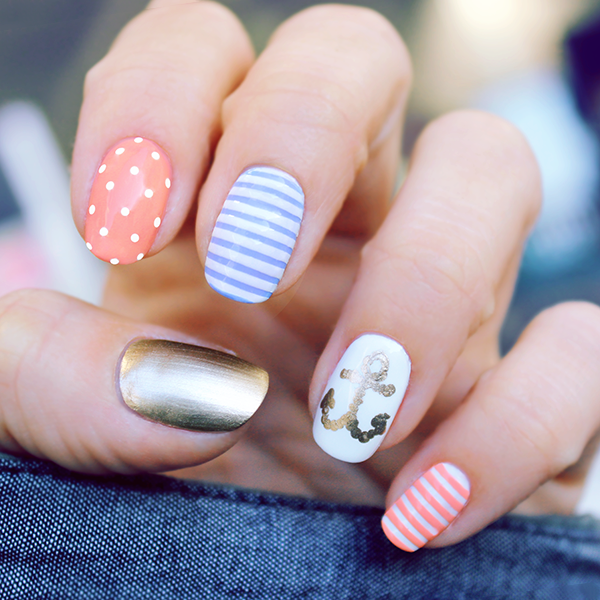 For instance if you go for a navy base, make the anchor a white or maybe a red one. 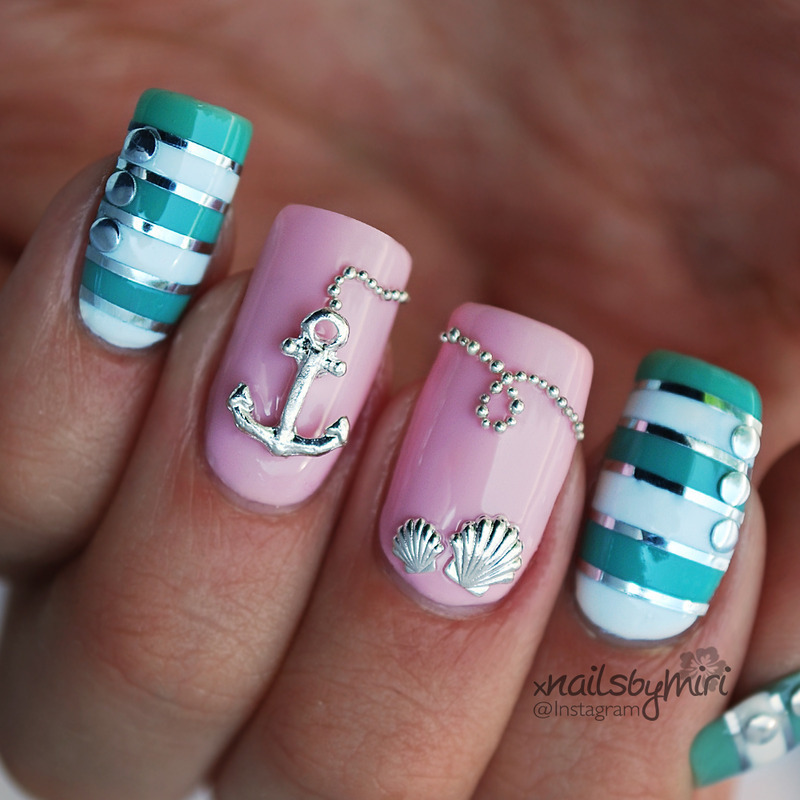 Thank you for reading and don’t forget to stay up to date with the content of Women Fashion Tips to find other inspiring nail design ideas that you can copy.